Born in Gardone V.T. Italy in 1968, Elena Micheli spent her early childhood in the mountain and lake region of Northern Italy. Gifted with a talent for languages at a young age, Elena lived and studied in England and Germany from age 14 onward. She completed her PHD at the prestigious School of Languages at the University of Milan where she taught prior to beginning private practice. Dr. Elena Micheli-Lamboy has devoted her career to improving the quality of communication through the understanding of written and oral languages. She has studied and worked extensively abroad from the Far East and Russia, to China, Europe and the U.S. Her expertise is diverse and ranges from technical manuscripts and litigation to fine art and marketing. She is well versed in a broad spectrum of manufacturing operations and easily at home in a marketing or literary environment. Her goal is to simplify the complicated while precisely illuminating the meaning of each word for her clients. 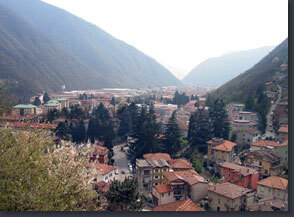 Dr. Micheli-Lamboy divides her time between home and offices in Gardone, Italy and Upstate New York.